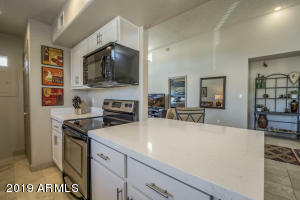 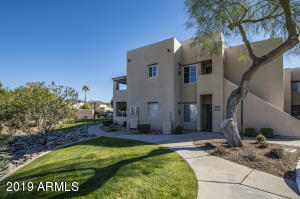 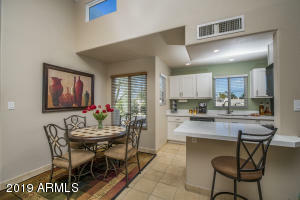 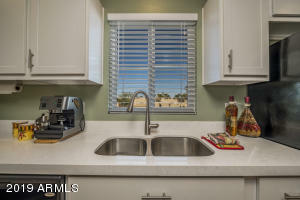 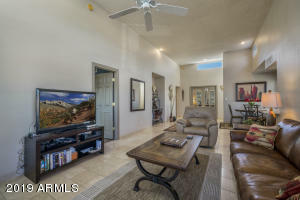 Nicely Updated floors and kitchen in this spacious 3-bedroom condo perfectly located 5 blocks from 101, 1 block to Honor Health, Sprouts, Flower Child, Chipotle and lots of great shopping and entertainment. 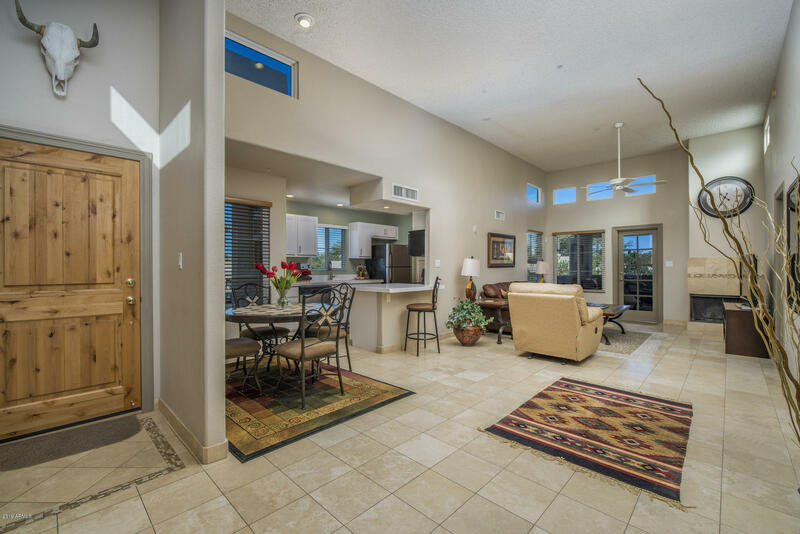 Very spacious living areas with 11' ceilings, clerestory windows and plenty of wall space for art and furnishings. 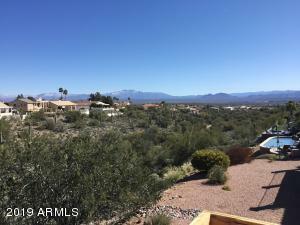 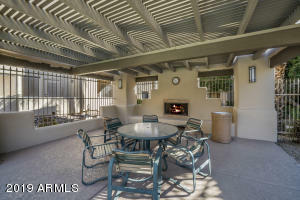 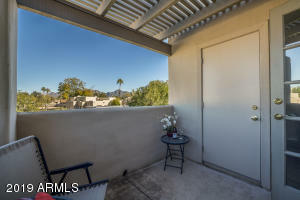 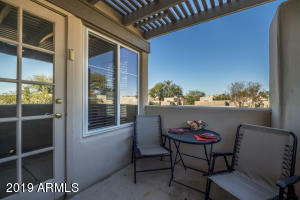 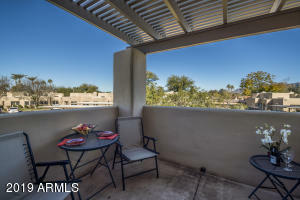 Great views from patio of mountains, a storage closet and... patio is one of few that has a trellis cover. 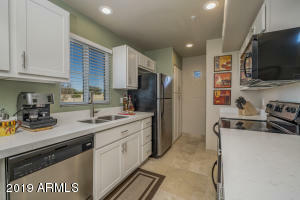 Kitchen updated in 2017 with new cabinets and quartz tops; Recently installed A/C and high efficiency windows. 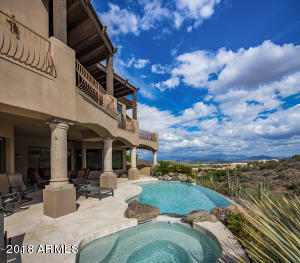 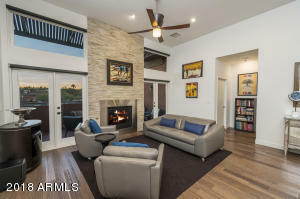 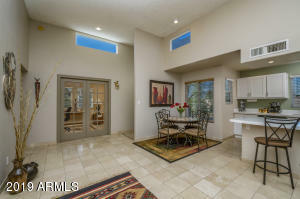 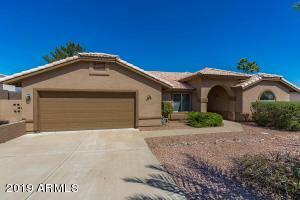 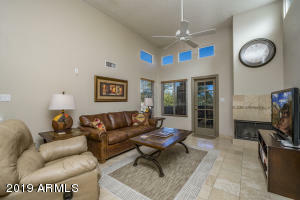 Enjoy Travertine floors in living area, wood burning fireplace and big walk-in closets. 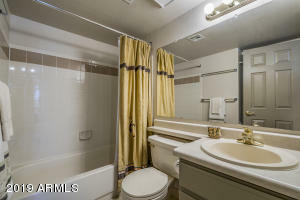 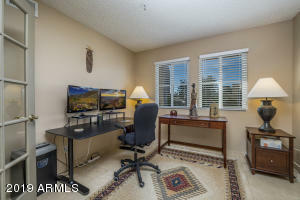 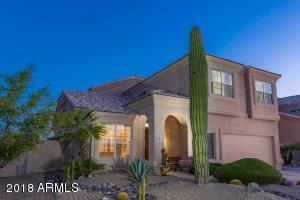 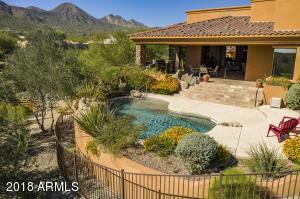 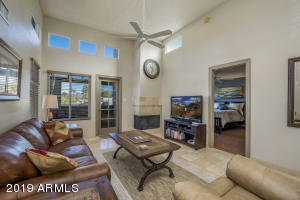 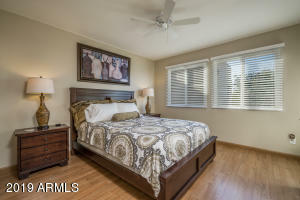 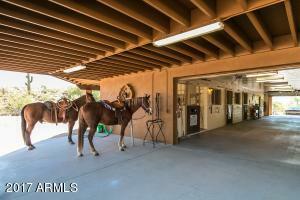 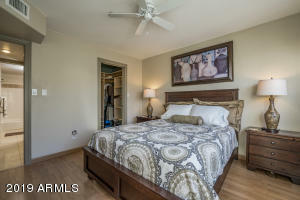 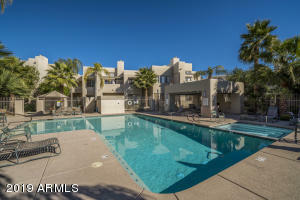 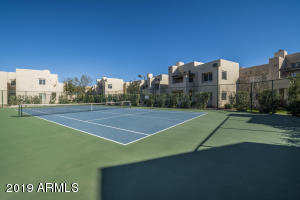 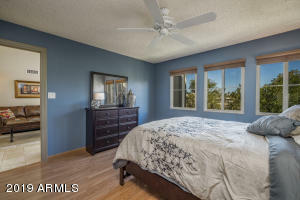 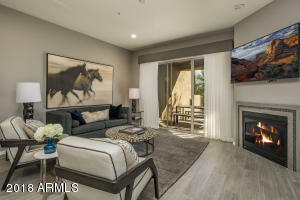 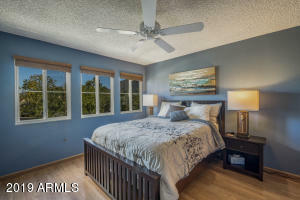 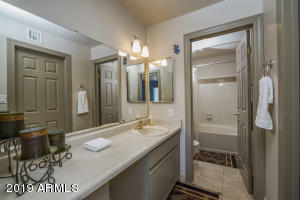 Community offers tennis, heated pool, spa and more! 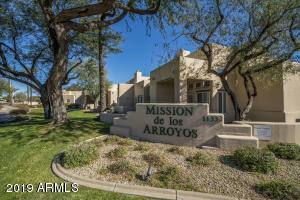 92nd Street north of Shea; Entrance to Mission de Las Arroyos is on the right. 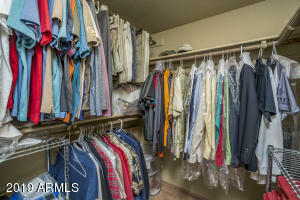 NOTE: unit location is not correct in Monsoon.